It had been a couple months since I first tasted Parish beer, and the time that passed since then grew more and more difficult without the locally brewed crafty taste of malted barley and noble hops on my tongue. 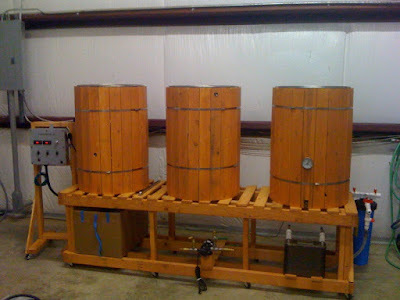 As if an angel heard my prayers while they were in South Louisiana to watch over the Saints, Andrew Godley from the Parish Brewing Company sent me a message inviting me back for a second round of brews and to give him some feedback on his latest fermentations. I gladly obliged and hit the road to Lafayette with Eusebio, Eric, and Dustin. Parish is still in the research and development phase to find that perfect recipe, though now Andrew is really just fine-tuning and tweaking his flagship suds. With the beer batches being brewed and the paper work getting ever closer to completion, it is just a matter of time before we can order a pint of Parish in some select local watering holes. I, for one, wouldn't mind being the first in line. The tap handle alone makes me want to drink the beer. Parish's signature "Fleur de Barley" couldn't be hitting the market at a more appropriate time. This particular handle is for the Canebrake flavor, which is an American wheat beer brewed with pure Louisiana sugarcane molasses. The picture on the right below is the Canebrake beer. As can be seen, the brew is poured with a cloudy body, a unique flavor, and a surprisingly creamy finish. The Canebrake boasts a 4.8% ABV. 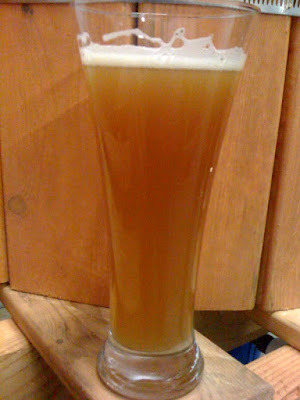 Andrew's new batch of the sugarcane beer came out a fair amount better than the previous version. He added even more molasses to ensure that the sweet flavor and aroma came through and could be tasted clearly, though still without being overpowering. He is still playing with the recipe slightly and is considering a batch with a small amount of lactose to help make the beer a little sweeter and creamier, amost giving it a melting sensation in your mouth. Yeah, that sounds good, I think I'll have that. The Biere Blanc (pictured above on the left) is a light and refreshing take on a European style pilsner. Beer geeks and typical light beer connoisseurs alike will enjoy this brew as it certainly has more malt and hops than your American standards, and also has a slight hint of wheat and a smidge of sweetness on the back end. 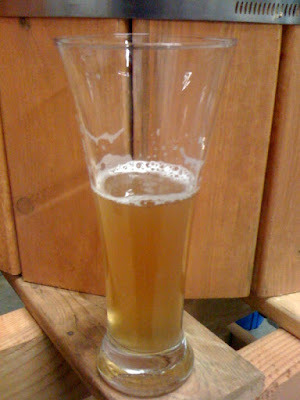 Like the Canebrake, the Biere Blanc is about 4.8% ABV. The beer that I think will sell the best early on in the Louisiana market is the Parish Pilsner (below on the right). The pilsner is a crisp, light, and refreshing beer that has that something extra that all cheap American light swill lacks. The first taste of the pilsner on the lips is a sweet and fruity flavor, not all that far from a sparkling wine or Champagne. But then, on your tongue, the hops hit you, and know this is no fermented fruit, but rather a beer with unique character. It finishes with a bit of dry spice on the back of the tongue and a crisp, delicious bite. The beer is complex yet is amazingly clear and, remarkably, is unfiltered (as are all the Parish beers). 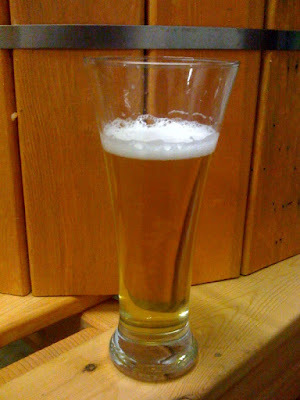 The Parish Pilsner has around a 4.7% ABV and it shines with a beautiful luster in the glass. This baby will sell in South Louisiana, that is for sure. Finally, Andrew brought out the beer that might soon win him some awards and accolades from true beer geeks, the Envie American Pale Ale. Envie is an old Cajun French term that means a craving or a hankering for something. 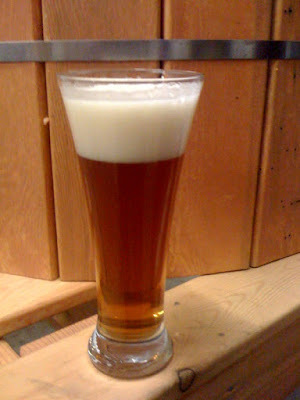 For example, while writing this post, I have an envie for more Parish beer. The Envie poured with the biggest head of the bunch... that's what she said. At first nose the beer smelled distinctly of orange citrus, rather than grapefruit which a lot of Indian Pale Ales bring. The orange aroma led to a balanced, very non-offensive hoppy taste. Pale Ales are notoriously hoppy, and while this APA brought the hops, it did so in a way that was very pleasing to the palate for even amateur craft beer drinkers. The Envie boasts a 5.2% ABV, and with its delicious flavor and perfect blend of malt and hops, this beer is sure to be a hit for many years to come. But I don't think anyone fell for it. I fell for it. Damn it, sir. You got me. Sweet! I guess I got somebody with it! And somebody on twitter agreed with me and said beer is nasty! I hope he was just going along with the joke. I am not a beer person... the only beer I drink is Guinness. 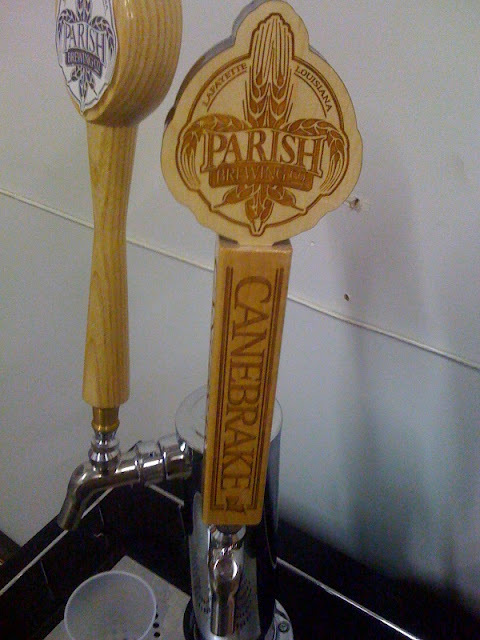 However... That Canebrake is something which I really, really look forward to drinking.